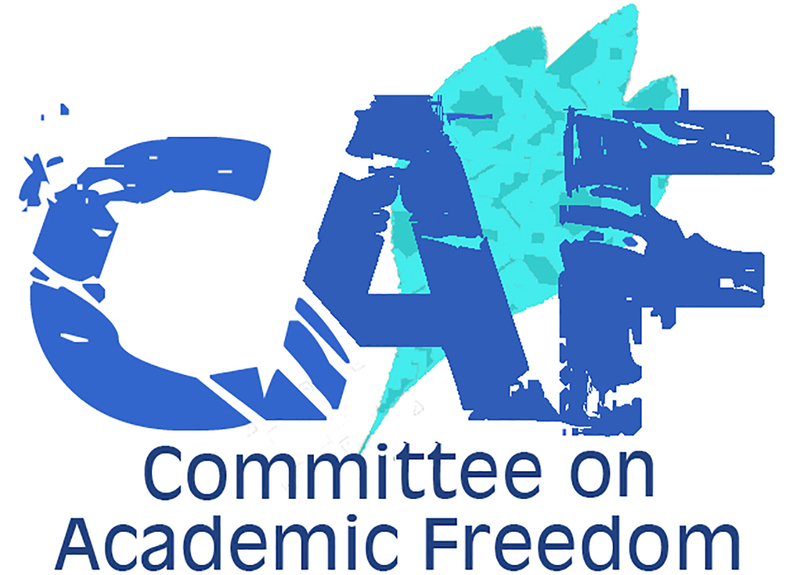 We write on behalf of the Middle East Studies Association (MESA) of North America and its Committee on Academic Freedom to express our deep concern and dismay over the increasing number and deteriorating situation of incarcerated students in Turkey. We have written to you previously (see our letter of 12 January 2017) concerning reports that the number of students detained in Turkey on allegations of membership in or advocacy on behalf of a terrorist organization exceeded 400. We are now writing to follow up due to the continuing growth in the numbers detained and an alarming deterioration in the conditions of their detention. Credible reports suggest that the total number of students currently detained on charges of supporting or being members of a terrorist organization is approximately 1000. The authorities have not disclosed the exact number of convicted students despite the fact that a parliamentary question (number 7 / 8421) dated 10/10/2016 was submitted by the MP Zeynep Altıok from the Republican People’s Party (CHP), the largest opposition party in the parliament, requesting the number and demographics of all detained students. Existing open source information suggests that most of the students currently detained have been charged with spreading propaganda for a terrorist organization under Article 7/2 of the Anti-Terror Law or with membership in an armed organization under Article 314/2 of the Penal Code. International human rights organizations’ reports and testimony by human rights advocates in Turkey suggest that terrorism charges are often used to stifle dissent and silence those who voice opinions that are different from those of your government. Evidence used to indict students on terror charges often includes lawful activities such as organizing soccer games and dinners, selling newspapers and concert tickets, attending International Women’s Day events, or even wearing a red scarf. The possession at home of mundane objects such as a dozen lighters or AAA batteries has reportedly been cited by prosecutors as evidence of (the intention to engage in) bomb-making. The consequences of such charges are dire for the accused, even if the student is ultimately acquitted. Pre-trial detention is routinely used as a method of punishment without trial as there are long delays before detained students are brought before the courts. Indeed, students may have to wait for their trial for years while remaining under arrest; meanwhile, they lose their right to education. Many university administrators have reportedly been expelling detained students before their sentences are finalized. Through the emergency decree issued on 22 November 2016 [Kanun Hükmünde Kararname (KHK) 677], incarcerated students’ right to education was further eliminated. In our letter of 12 January 2017, we indicated our concerns over the grave educational repercussions of this emergency decree. Under KHK 677, students detained on allegations of engaging in terrorism propaganda or membership in a terrorist organization are barred from taking university exams during their detention. Given the length of pre-trial detentions, this emergency decree will surely lead to the dismissals of detained students from their educational institutions, compounding the violation of rights that they suffer as a result of lengthy pre-trial detention. This measure (KHK 677, Article 4) is in direct conflict not only with the constitutional right to education (article 42) but also with the presumption of innocence. KHK 677 presents a clear example of the overall deterioration of incarcerated students’ conditions under the State of Emergency declared after the 15 July coup attempt. The erosion of the rule of law in this period has affected students disproportionately. Unlike other academics who have been targeted, students do not enjoy the relative public visibility and occupational prestige that has made the purging and detention of professors a subject of international condemnation. Moreover, since the attempted coup, credible reports indicate a radical deterioration in prison conditions due to overcrowding in light of the large numbers of individuals—totaling over 50,000—who have been detained on allegations of complicity in the attempted coup. In addition, there are widespread allegations of torture, ill treatment, and sexual harassment and assault in detention across Turkey, all of which has increased in recent months. The measures that have been taken since the coup attempt include, among others, prolonged police detention for terrorism-related offenses without legal review (extended from four days to 30 days), denial of a detainee’s right to see a lawyer for up to five days, and interference with attorney-client privilege, including monitoring and recording of private communications between lawyers and clients. Further, gag rules and confidentiality orders connected to trials on terrorism allegations have left detained students and their lawyers unable to access case files. Students may find themselves under arrest for years without ever being told the basis for their detention or the charges that they face. Lawyers working with detained students report that while their access to court files is restricted by confidentiality orders, the same information somehow makes its way into the public record through leaks that enable pro-government media outlets to publish the details of cases that are withheld from defense lawyers. The politicization of the judiciary and the political pressure brought to bear on lawyers and judges alike have further undermined detained students’ right to a fair trial. Recent purges in the civil service—including of judges and prosecutors—have resulted in substantial delays in trials and prolonged detentions. Students’ legal advocates complain that judges and prosecutors are frequently replaced during cases because of government investigations targeting the judiciary. In one reported case, detained students were tried by five different panels of judges over the course of nine months. In each instance, the newly appointed prosecutors, who had no prior knowledge of the details of the case, requested that the detentions be continued. Another interference with the right to a fair trial is the political pressure brought to bear on defense lawyers who take on the cases of students. The emergency decree issued on 29 October 2016 [Kanun Hükmünde Kararname (KHK) 676] banned lawyers who are themselves under investigation under the scope of counter-terrorism laws from working on terrorism-related cases. Furthermore, there are credible reports that police recordings of private communications between lawyers and clients are used to charge lawyers with terrorism-related offenses. As a member state of the Council of Europe and a signatory of the European Convention for the Protection of Human Rights and Fundamental Freedoms, Turkey is required to protect freedom of thought, expression and assembly. Turkey is also a signatory of the Universal Declaration of Human Rights, the International Covenant on Civil and Political Rights, and the Final Act of the Conference on Security and Cooperation in Europe (OSCE), all of which protect the rights of freedom of opinion, expression and association, which are at the heart of academic freedom. These rights are also enshrined in articles 25-27 of the Turkish Constitution. We urge your government to take all necessary steps to ensure that these rights are protected. In addition, we urge your government to take note of growing international concern over the alarming deterioration of the basic prerequisites of the rule of law in Turkey, as exemplified by the increased number of incarcerated students and the deteriorating conditions under which they are held in prolonged pretrial detention. We respectfully ask that your government take immediate steps to stop and reverse the erosion of the rule of law in Turkey, prevent the use of pre-trial detention as a method of political punishment, and reinstate fair trial protections and safeguards against torture and ill treatment. Further, we ask you to abandon policies and practices that result in the termination of incarcerated students’ right to education and take necessary precautions to ensure that this right is protected. Finally, we call on your government to desist from broadening the definition of terrorism to stifle political dissent.